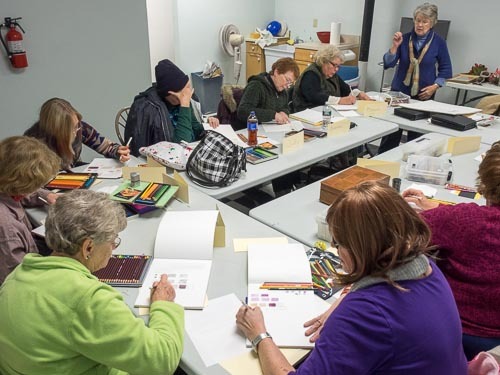 There is still time to sign up for Judith Becker’s Introduction to Color Pencil Painting Workshop this Saturday, January 10 from 1-4pm at the Berkeley Art Works, 116 North Queen Street in Martinsburg. Participants will learn the basics of materials, techniques and possibilities with this relatively new and popular art medium. Paricipants will create several small studies as practice. Basic supplies for this medium will be provided. Tuition is $45 plus a $10 supply fee to be paid to the instructor at the beginning of the workshop. For details and online registration visit the Berkeley Art Works web site. Deadline for registration is Friday, January 9 at 12 Noon. For more information email berkeleyartswv@gmail.com or call 304-620-7277.